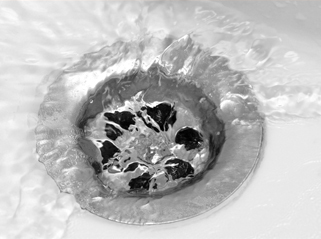 Unclogging Clogged Drains in Phoenix, AZ. If you have a drain in your home that is always acting slow and not working as it should, that can become a frustrating problem for you. If you have a drain that is stopped up completely and not working in the way that it should, you must figure out who you can trust to help you out. You need to find someone who will get your drain going again and who will take care of the clog. We know how to take on your needs when it comes to Unclogging Clogged Drains in Phoenix, AZ, and you can rely on us for all the help that you are seeking. When you have clogged drains that must be dealt with, you should seek out help from someone who has done good work for others. You should find someone who has completed projects for other people in a way that brought about good results. We are the kind of company that you can trust with the work that you need to have completed. We are the kind of company that has worked for others in a way that brought about good results. We have experience, and we have done good work for others. As you are choosing help with Unclogging Clogged Drains in Phoenix, AZ, make sure that you turn to someone who is going to give you help without charging you too high of a price for what they offer. Look for help in someone who will clear your drains without charging a lot for the work that they did. We try to make things as affordable as possible for you, keeping the costs down as we complete the work that you need to have done. You can trust that we will take on your project in a way that is good and affordable to you.